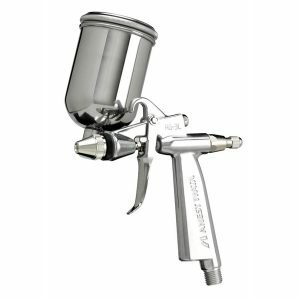 Iwata W300 Spray Gun is aLow Air Volume General Purpose Retouch Spray Gun. High Transfer Efficiency spray gun. 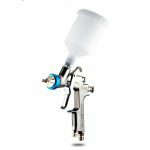 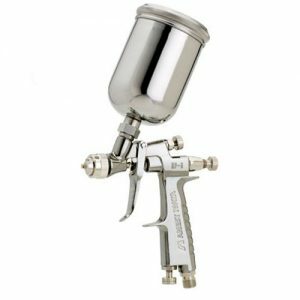 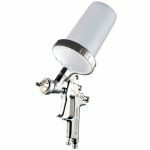 This spray gun is suited for large scale airbrush paint work, including customising autos, car body refinishing, mural painting and other large-scale production spraying. 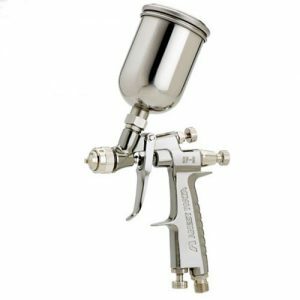 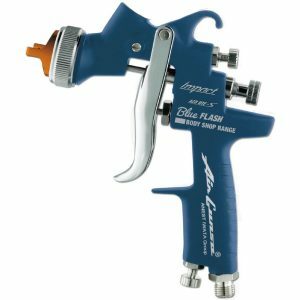 Whether you’re a fine artist, production artist or a body-shop painter, Iwata has a spray gun for your every need – one that’s ideally suited for spraying gesso, varnishing paintings, murals, backgrounds, custom automotive painting, rendering signs or whatever broad surfaces need to be covered. 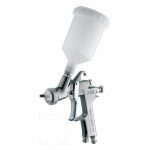 These guns spray high-viscosity paints – including metallic – with ease.